The Invacare® Solara® 3G tilt-in-space wheelchair offers more adjustability, better serviceability, increased configurability, and is easier to tilt as compared to the previous generation Solara. 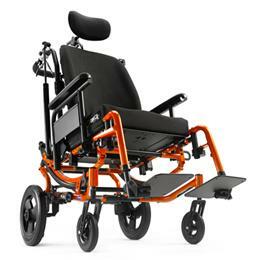 With a 30% reduction in fasteners, new accessories, and the cable-free foot tilt option, the Solara 3G wheelchair offers everything you loved about the 2G plus so much more. 17" - 20", 20", 24"
12", 16", 18", 20", 22", 24"